As nuclear anxieties and high-stakes diplomacy on the Korean Peninsula fill news headlines, it is not surprising that more and more students and young professionals are taking a deep interest in North Korea. However, knowing where to find clear-eyed analysis and primary-source information on North Korea is not simple, and there are few professional development opportunities for those seeking to begin a career working on North Korea-related issues. 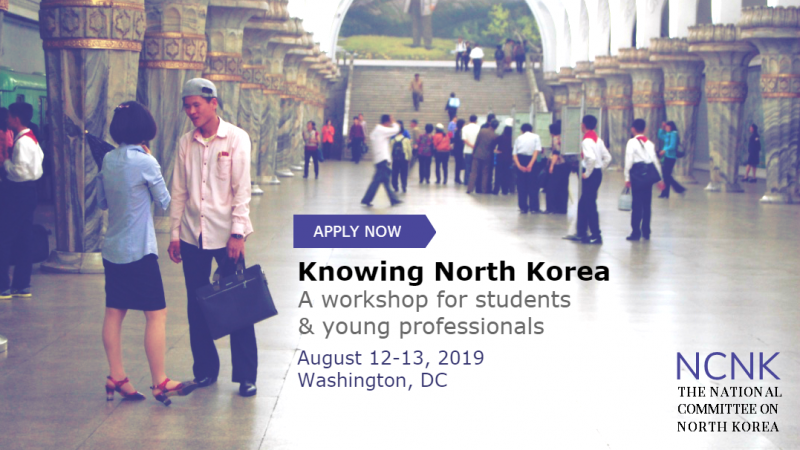 In order to help fill this gap, the National Committee on North Korea’s Knowing North Korea workshop will provide graduate students and young professionals with a deep-dive overview of critical topics related to North Korea, as well as an introduction to practical skill-sets that can enhance and broaden a career in North Korea analysis and research. The program will include a two-day conference featuring workshops and discussions with DC-based North Korea specialists and policy professionals. The Program will also include site visits to institutions such as the State Department and Congress.